A fantastic little local restaurant (and Café by day) bursting with atmosphere, cheerful staff and great local dishes in some cases with a slight Asian influence. Le Petit Marché is petit, its cosy, its fun, its busy and its very vibrant so if you like all of those in and atmosphere then pop on in for a light snack, lunch or dinner. 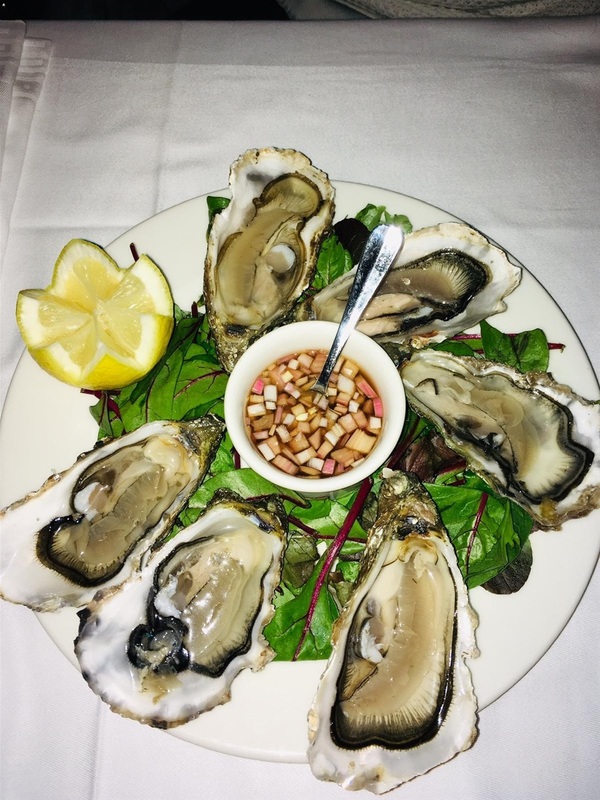 The fresh oysters were delicious and a really good size, the traditional entrecôte was beautiful and Lamb Noisettes melted in the mouth but their signature duck disk was outstanding and all dishes were cooked to perfection, not forgetting the small but perfectly formed dessert choices. LPM is now one of our favourite restaurants in Paris but please don’t just turn up if you don’t want to be disappointed, its petit and very popular so please book a table in advance.